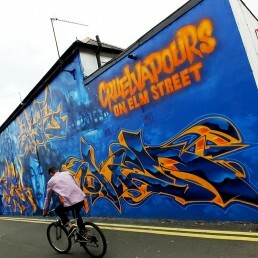 Painted by Cruelvapours - artists Hoxe, Karm, Sokem and Rmer as a rest in piece dedication to Wes Craven the creator of the movie Nightmare on Elm Street. 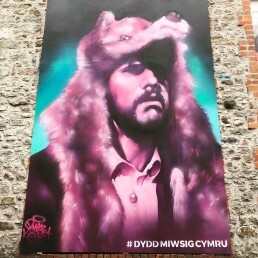 This actual graffiti art mural was painted on a street in Cardiff called Elm Street. 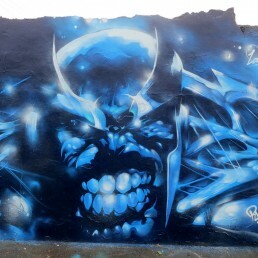 Personal mural project painted with artist Hoxe based on the comic artwork by Adam Kubert for Marvels The Avengers Infinity comic. 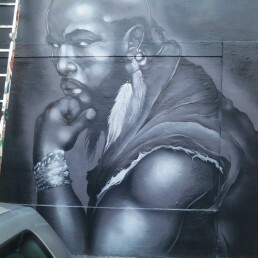 Graffiti street art mural for Mr T's MOT Centre in Roath, Cardiff. 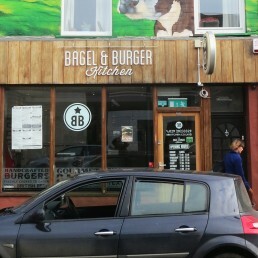 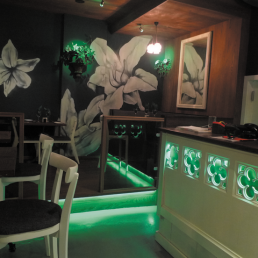 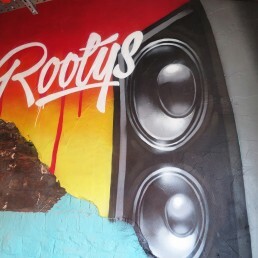 Our graffiti art murals are a perfect way to advertise your business services and stand out from the crowd. 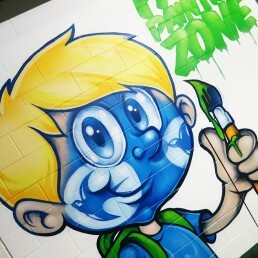 Internal graffiti art mural for the Robotics department of Cardiff University. 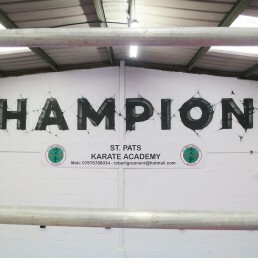 New internal graffiti art mural / signage for Cardiff's St.Patts Karate Academy's Dojo. 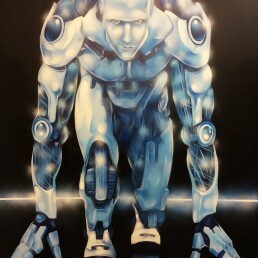 The idea was to create a fresh and visually impacting version of their team name "CHAMPIONS". 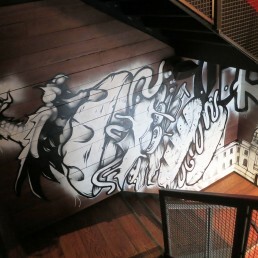 We came up with a few design options and the client chose this design of the ideas of the letter being stamped / smashed out of the wall. 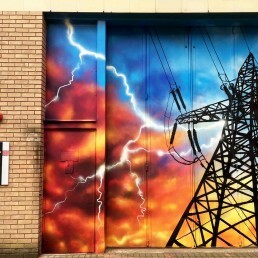 We were asked by Cardiff University's Advanced High Voltage Engineering Research Centre to design and paint their main entrance doors with this eye catching graffiti art mural.